EVERGREY - HYMNS FOR THE BROKEN VINYL (2LP BLACK) | Online Shop | Wizard LTD. 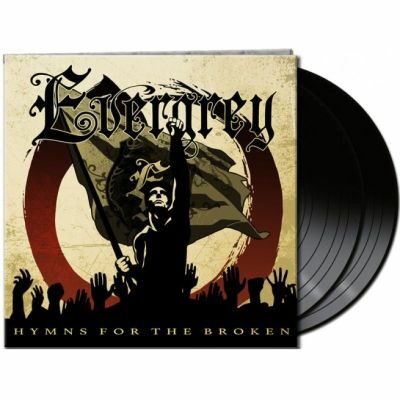 Album: "HYMNS FOR THE BROKEN VINYL (2LP BLACK)"
Three and a half years after “Glorious Collision”, acclaimed Swedish metallers EVERGREY return with their brand new piece of work, the concept album “Hymns For The Broken”. As it is good tradition for the band, none of their albums does sound like the other - but they all have the typical EVERGREY trademarks: energetic riffs, strong melodies, clever arrangements, dark poetry and Tom S. Englund’s unique voice towering above it all. “Hymns For The Broken” probably is their most atmospheric and intense album so far - and we speak of a band that has released classic albums such as “In Search For Truth”, “Recreation Day” and “The Inner Circle”. Mix and mastering this time was handled by Jacob Hansen (Volbeat, Pretty Maids, Amaranthe, Primal Fear) who undoubtedly made it the best sounding EVERGREY album ever.